Sydney: March 15, 2013: Scenic Tours have again raised the bar for luxury river cruising on the grand waterways of Europe with a $10 million refurbishment to their world-class fleet of Scenic 'Space-Ships'. This investment means that they are operating the newest fleet on Europe's rivers with their exclusive Scenic 'Space-Ships' delivering the next generation of luxury. 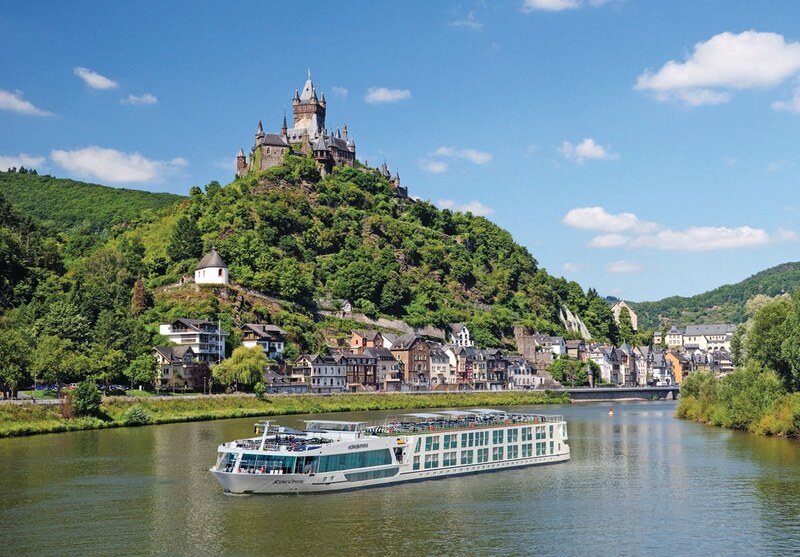 With uncompromising attention to detail, quality, inclusions and service, the current fleet sailing the Rhine, Main, Danube, Moselle and Black Sea have undergone an extensive refurbishment program, exacting the standards of the newest ship to join the fleet, Scenic Jewel who takes her inaugural cruise in April. Scenic Tours Managing Director, Glen Moroney says that the refurbished fleet promises that no matter where or when guests travel with Scenic Tours in Europe, they will always be guaranteed to enjoy the most luxurious tour to exacting standards. "At 135 metres in length and boasting two entire decks of cabins with private balconies, Scenic 'Space-Ships' are the next generation of river cruisers. They are longer than other ships sailing Europe's waterways, boasting 22 per cent more space." Scenic 'Space-Ships' have always been the benchmark for luxury river cruising, and Mr. Moroney adds that his commitment to keeping the company's reputation at that level is highlighted by the fact that the fleet range in age from 18 months to just four years. "We have always presented the best examples of top design and innovation in creating the best all-inclusive luxury river cruising experience on the market. And we will continue to elevate that standard to the highest possible level." These Scenic 'Space-Ships' now all feature new dining additions – the casual River Café for all-day grazing and Table La Rive for a dégustation experience, whilst Portobellos has also been upgraded. The main restaurant, Crystal Dining is enhanced with new pizza ovens, omelette and carver stations and the Panorama Lounge has a new bar embellished with Port Laurent black Moroccan marble, additional coffee machines and Eurocave wine dispensers. Elsewhere, the Reception areas boast new floors and light fixtures, marble desks and are decorated with Bolon wallpaper. A stunning array of artworks also create a floating art gallery on board. Each ship also features new carpet, soft furnishings and designer furniture throughout, whilst the luxury staterooms have private balconies that are 24 per cent larger than normal balcony cabins and fitted with exclusive Scenic 'Sun Lounges', which allow guests to enclose the entire balcony at the touch of a button for a unique indoor lounge with full window views. The 5-star in-suite inclusions range from private butler service and a complimentary mini-bar stocked daily to queen size slumber beds with Egyptian cotton linen, pillow menu, L'Occitane products and 32 inch Samsung HD TVs linked to MiniMac computers for in-cabin email and complimentary new fast-speed Wi-Fi system for easy internet access. A number of innovative new technical features are also offered on board including an upgraded Wi-Fi system using both Satellite and UMTS Mobile technology for faster speeds. Scenic Tours has always been regarded as operating the finest fleet of river cruisers on Europe's waterways and again showcase the next generation of all-inclusive luxury cruising. First launched in 2008, the fleet was the first river cruise ships in Europe to be 100 per cent owned and operated by an Australian company.